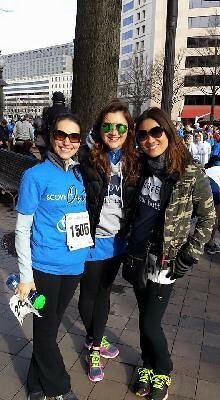 It’s that time of year, when I start my early and often asks for donations, small or big, medium or big, small or small, big or big, to go toward the Pamela’s Punch Team which is raising money for this year, the 11th annualÂ Scope It Out DC 5K Run/Walk. 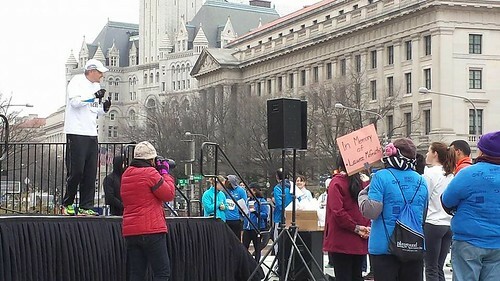 The event will take place again on Freedom Plaza downtown at 9am on SUNDAY, March 20th. Yes, I know, it’s Palm Sunday (Easter comes early this year) and spring break commences for many an excited child/parent, but even if you cannot make the family & dog-friendly run/walk, I’d love for you to consider making a donation. 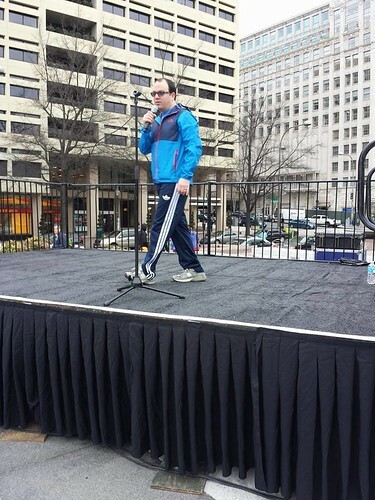 Esteemed Dr. John Marshall of Lombardi Cancer Center talks to the thousands of participants at Scope It Out in DC. Your $25, $50, $75, $100 or $5,000 (hahaha! ), ok, anything in between that, will collectively help us to get to our goal of $7,500. So, from the bottom of my heart as Team Captain of Pamela’s Punch, I thank you for supporting the continuing efforts that Colon Cancer Alliance has accomplished in the fight against colorectal cancer. 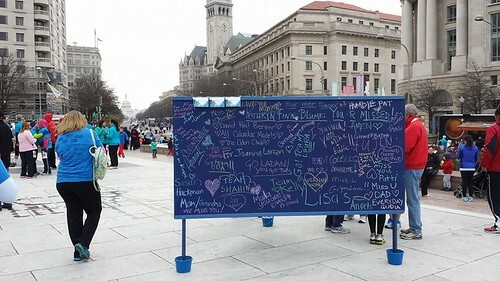 The beautiful Memory and Honor Wall, where participants sign and share they thoughts for loved ones. Last year, weÂ hit our goal of $7,500 and this year, we hope to not only reach that number this year, but soar past it! Effective January 1, 2016, the Chris4Life Colon Cancer Foundation and the Colon Cancer Alliance have merged. Maintaining the Colon Cancer Alliance name and headquarters in Washington, D.C., this unified organization will now have increased resources to advance colorectal cancer research, expand patient empowerment programs and save lives through bigger and better screening campaigns. Michael Sapienza, the founder of Chris4Life is the new CEO of the merged organization.